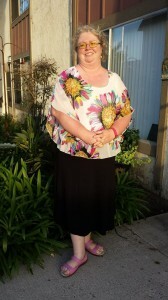 It has been over a year since I have posted to my blog. I relocated to Orange County, CA from Seattle, WA in March 2013 and had a very difficult time figuring out how I was going to have an impact in my new locale. My former blog, Green Spaces Real Estate, was an educational outlet related to my real estate sales business, and here in SoCal I am working in property management, not sales. The green home industry is in its early stages here which is why I have not become a licensed real estate broker here. My niche was green homes, and here I would just be a real estate salesperson like all the rest. Not to mention it costs a lot of money to get licensed and be in that industry in this area. I have moved into administration instead. So from a professional standpoint I am not really making a green impact here, and I have also struggled personally. Much of 2013 was spent looking for work, looking for place to live, moving, missing my husband, and waiting for the BIG move and closing up our house in Seattle, then unpacking. He arrived around Thanksgiving and it took several months to get fully settled in to our apartment, things stored away, and miscellaneous small improvement projects around the new home to be finished. (Curtains, shelving, more organization since the space is so small, etc.) I finally feel like I have energy to do something besides just work, keep house, and sleep. Part of what changed for me in the last year was my transportation. My MINI Cooper of 11 years got over 125k miles and started acting like it needed major work. I have had my eye on the Fiat 500 as a possible replacement since it came out. 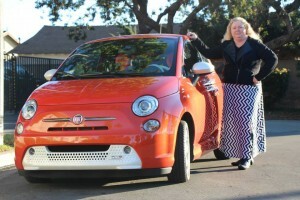 Here in CA there is an all electric version, the Fiat 500e, (referred to as a BEV, battery electric vehicle). Getting an all electric car would get me into the HOV lane as a single occupant vehicle. My morning commute and chronic tardiness was a huge amount of stress for me, so this was important to me. Besides doing something good for the environment and saving a ton of money on gas, I got a free pass into the HOV lane and I fly by all of the traffic every morning, ta king my commute from 35-60+ minutes to a reliable 23 minutes!! Totally worth all the trouble trying to find places to charge the car. But more on that later. I don’t have to show up at work early and not get paid for it anymore. One thing I have done is volunteer to be a City Captain to help organize a big National Drive Electric Week event (Plug In America). It will be in September and we are working with another couple who is immersed in the car industry here to get this event off the ground. Right now I feel rather superfluous actually, since my area of expertise will be the social media marketing once we get closer to the date. But I see a lot of email on the topic and am really in awe of other people who are planning huge events all over the country from the ground up. I hope to learn a lot and be able to help more in the earlier stages next year. I have enjoyed participating in the many online communities related to electric vehicles, battery technology, public infrastructure for charging, and more both loca, national, and global. My new URL and blog name change is a combination of my former blog and my Facebook page, which has been around since 2008 as Westside Green Living With Wendy. Now that I have made myself and my mission over for my new location, and set a direction to move forward, you will start hearing more from me. We have had a couple of recent projects I am eager to share! Visit West Coast Green Living on Facebook!